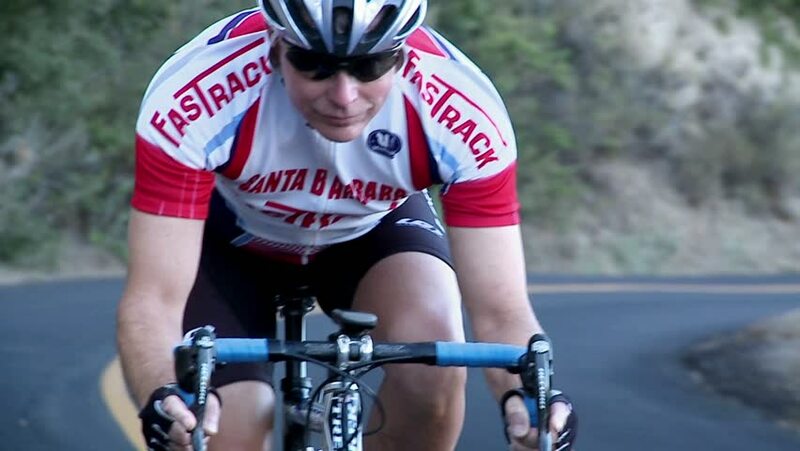 OJAI, CA - CIRCA 2009: A man rides a bicycle in a race on a stretch of rural highway circa 2009 in Ojai. hd00:21JAMESTOWN, RHODE ISLAND – OCTOBER 14: Cyclists in the 38th annual Jamestown Classic road race compete for a winning place on the podium October 14, 2013 in Jamestown, RI. 240fps slow-motion. hd00:11EVENT VRHNIKA JULY 2015: In this video you can see the competitor in the foreground on cycling marathon. hd00:33Rear shot of the Tour of the Great South Coast, August 14, 2016 - Portland, Australia. hd00:11VRHNIKA, SLOVENIA - JUNE 2014: Bicycle marathon competition around Vrhnika. Close shot of biker getting of bicycle. 4k00:18Group of cyclists on road. Fully released for commercial use. hd00:30RUSSIA - NOVEMBER 15, 2014 festival Siberian Health: Unidentified athlete during the International crossfit competition Siberian Showdown.